Receiving Honorary Doctorate from the University of Puerto RIco in Mayaguez. 1963 First Prize in the Poster category, Puerto Rican Athenaeum San Juan, P.R. 1964 First Prize in Printmaking, Puerto Rican Athenaeum San Juan, P.R. 1965 First Prize in Printmaking, Puerto Rican Athenaeum, San Juan, P.R. 1966 First Prize in Printmaking, Puerto Rican Athenaeum, San Juan, P.R. 1967 First Prize in Printmaking, Puerto Rican Athenaeum San Juan, P.R. 1967 Only Prize, for Mildred Boerique xylography, Philadelphia Print Club International Contest, Philadelphia, Pa.
1967 Sabbatical from the Casa del Arte for a Trip, San Juan, P.R. 1973 Only Prize for Poster, Centennial of the Abolition of Slavery, Puerto Rican Athenaeum, San Juan, P.R. 1979 Prize for Posters, Puerto Rican Foundation of the Humanities, San Juan, P.R. 1979 Homage Exhibition of the IV Latin American Prints Biennial of San Juan, San Juan, P.R. 1980 Homage Exhibition of the First Latin American Prints Biennial of New York, Cayman Gallery, New York, N.Y.
1986 Honorary Mention for Posters, Fifth Centennial of the Discovery of Americas and Puerto Rico Commission, San Juan, P.R. 1987 Only Prize for Posters, Fifth Centennial of the Discovery of Americas and Puerto Rico Commission, San Juan, P.R. 1987 Homage Exhibition and Proclamation of Salutation of the City of Guánica, First Arts Fair of the Puerto Rican Institute of Culture, Guánica, P.R. 1990 City of Philadelphia Municipal Assembly Resolution, Honoring Jose R. Alicea, for his accomplishments in Graphics Arts, Philadelphia, Pa.
1991 Official Poster Prize, Poster for the Puerto Rican Pavilion in the International Fair of Seville '92, San Juan, P.R. 1991 Resolution of the City of Ponce, Declaring Favorite Son to Jose R. Alicea, Ponce, P.R. 1994 Visiting Artist, University of Puerto Rico, Mayagüez, P.R. 1995 Visiting Artist, University of Puerto Rico, Mayagüez, P.R. 1996 Goya Silver Medal, X Iberoamerican Biennial of the City of Mexico, Mexico, D.F. 1996 Homage Exhibition of the City of Caguas to José R. Alicea, Caguas, P.R. 1996 Annual Prize of the Critics Association of Puerto Rico, for the Artistic Trajectory, San Juan, P.R. 1996 Honorary Mention of the Critics Association of Puerto Rico, for the Silver Medal in the Mexican Biennial, San Juan, P.R. 1996 Recognition from the University of the East College, to Master José R. Alicea. "For a life dedicated to teaching", Carolina, P.R. 1996 Recognition from the School of Fine Arts of San Juan, to Master José R. Alicea, "For is contribution to the Puerto Rican Graphics", San Juan, P.R. 1997 Commemorative Installation of the Plaque of the Illustrious Sons of Ponce, Ponce Tercentennial Park, Ponce, P.R. 2003 Contest winner for the Mural "Ponce Looking to the Future", mosaic 32 ft. high by 30 ft. wide, Ponce, P.R. 2017 Recognition by fellow artists "Tribute to Master José Alicea", Art Museum and Study Hall Alfredo Ramírez de Arellano y Rosell, San German, P. R.
2017 Recognition by the Business Association of La Parguera, "PargueArte", Parguera Plaza Hotel, Lajas, P.R. 2018 Homage exhibition by the Art League of San Juan, San Juan, P.R. 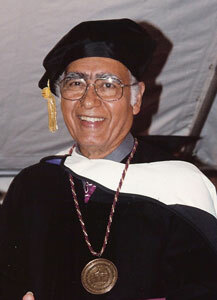 1999 Doctor Honoris Causa in Arts, University of Puerto Rico, Mayagüez,"For a Life Dedicated to the Arts and Teaching". Mayagüez .P.R. 2000 Doctor Honoris Causa in Arts, to José R Alicea, School of Fine Arts, San Juan, P.R. 2018 Doctor Honoris Causa in Puerto Rican Studies and the Caribbean, by the Center for Advanced Studies and the Caribbean of Puerto RIco, San Juan, June 15, 2018.